The second and third grade students of MOC-FV and OCCS are invited to participate in the STRAAT FEEST activities during Tulip Festival (May 19, 20, & 21) by performing in the KINDERSPELEN (children playing). We would like to see as many children as possible from both schools performing on the street. It is a great experience for them to become involved in the community and exciting for them to perform in front of thousands of people. The children perform before the afternoon parade each day of the Tulip Festival on two different blocks along the parade route, and will receive a free carnival ride ticket each day. Instructions for the games will be given in the school’s classes again this year at Orange City Elementary and OCCS. Practices will take place during the school day. Instructions for the games for Hospers students only will be given after school on Wednesday, April 27 at the Alton Middle School OLD GYM. Practice will be from the time the kids get off of the bus (NO EARLY OUT THIS DAY) until about 4:30. You are responsible for picking your child up at 4:30 from the Middle School. A joint practice with MOC/FV and OCCS students will be held Monday, May 9 after school. Each child must have a Dutch costume and wooden shoes; wooden shoes will be needed for the practice date. There are patterns at the Orange City Public Library if you will be sewing your own costume. There is also a list of seamstresses and people to rent costumes from on www.octulipfestival.com under History & Heritage. Wooden shoes are available for purchase at the Tulip Festival office, Crafts Central and Jubon Juweelen in Orange City. We need volunteer parents/guardians from each school to assist with the performances. A Dutch costume is required. Please complete the permission form and return it with your child to their homeroom teacher by Tuesday, April 19. Please encourage your child to come and play in the Children’s Dutch Games with us. They will love it!  Please contact the Tulip Festival office at 712-707-4510 if you have any questions.